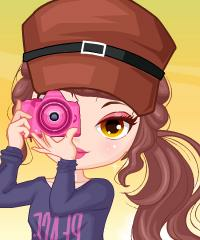 Dress up this cute young photographer in her training session. You can choose if it is autumn or winter and select clothes that are appropriate. Do you own a camera and do you take a lot of pictures?